Recover Lost Files & Photos Today! 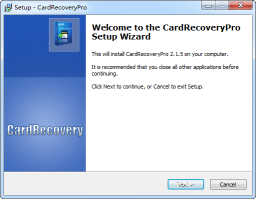 Please follow the below steps to install CardRecoveryPro™ on your PC. CardRecoveryPro is easy-to-use recovery software that recovers deleted/lost photos, music, video, and multimedia files from almost all digital devices and media after disasters like erroneous deletion, file corruption, or re-formatting error. 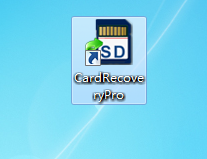 After install completes, click the CardRecovery Pro icon on your desktop to launch.